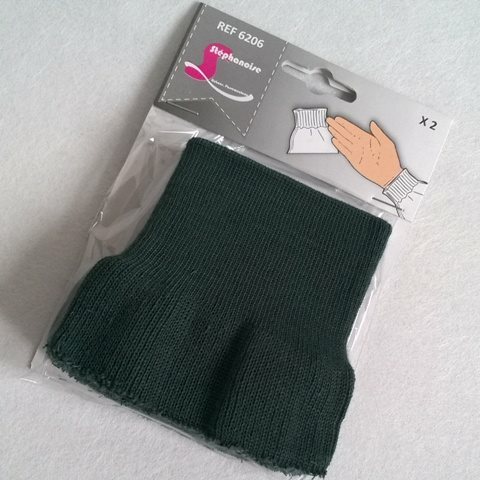 Ready made polyester elastic sleeve cuffs, use to replace worn cuffs or as a professional finish to home sewn garments. Perfect for repairing school jumpers. 2 cuffs per pack, washable at 30 degrees. 100% polyester. Colour Disclaimer: Colour swatches shown on this website are for illustration purpose only and may differ from the actual product. Also, due to manufacturing tolerances, there may be variations in shade from one product batch to the next. Customers requiring an exact colour match may request a sample, or submit a swatch for colour matching.